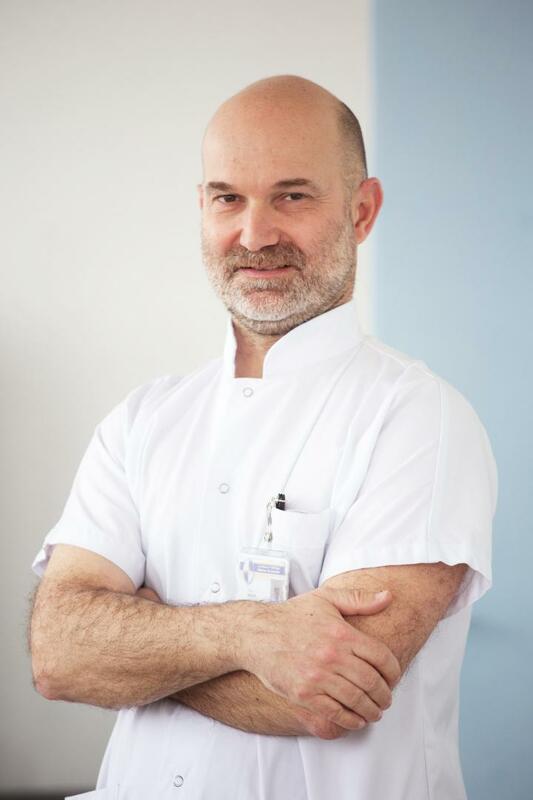 This year's recipient Fabrice Barlesi is currently Professor of Medicine at the University of Aix Marseille and Head of the Multidisciplinary Oncology and Therapeutic Innovations department at Assistance Publique Hopitaux de Marseille in France. He currently serves as Associate Editor for the IASLC Lung Cancer News linked to the IASLC publication committee and was part of the lung scientific committee of the ESMO 2017 Congress. Barlesi studied at the University of Aix Marseille and completed his training with a fellowship at the Princess Margaret Hospital in Toronto, Canada, as well as at the VU University Medical Centre in Amsterdam, Netherlands. His main clinical interests in lung cancer research are specific to the fields of multimodal treatment, angiogenesis, bio-guided therapies and immuno-oncology. He is the author or co-author of more than 250 publications in peer-reviewed journals or book chapters. He coordinates the Early Phase Cancer Trials Centre in Marseille, which is dedicated to phase I trials in oncology, and serves on the Board of Directors of the French Thoracic Intergroup (IFCT). Recognising the contributions of others to his career, Barlesi acknowledged his mentor, Jean-Pierre Kleisbauer: "Like Heine Hansen, he initiated the fight to demonstrate that lung cancer patients deserve better than just the best supportive care standard," said Barlesi. "I also want to mention Frances Shepherd, who deeply changed my professional life when I was a young fellow in Toronto – her vast knowledge and incredible willpower will remain an example until the end of my career. Pascal Thomas, one of the most brilliant thoracic surgeons I know, deserves special thanks for our many discussions about the multidisciplinary management of lung cancer patients." Barlesi added: "I feel very grateful and honoured to receive this award from ESMO and IASLC. It is an acknowledgement of the work done in the last 20 years, not just by myself, but by the wonderful teams at Aix Marseille University, Assistance Publique Hôpitaux de Marseille. I believe this award also recognises the contribution made by the French Thoracic Intergroup to the field of lung cancer research. It will be a source of encouragement to all of our teams for years to come." ESMO Past President and ELCC Steering Committee member, Fortunato Ciardiello, said: "Fabrice Barlesi is emerging to be one of the top leaders in lung cancer clinical trials and biomarker research. It was unanimously agreed that the prize should be awarded to him. He led the pioneering Biomarkers France study, the largest nationwide programme of molecular profiling for non-small cell lung cancer patients and has made an outstanding contribution to the field of translation research in lung cancer." IASLC President and ELCC Steering Committee member, Giorgio Scagliotti, said: "Fabrice Barlesi is among the European leaders in the field of translational research in thoracic oncology and he is also an outstanding physician. He has been the principal investigator of many large international clinical trials and is carrying out his goal to realise the vision of Heine Hansen." Commentators quoted in the press release are required to comply with the ESMO Declaration of Interests policy and the ESMO Code of Conduct. 2 Heine H. Hansen started translational research in lung cancer and collaborated with many investigators in Europe and the US. Early on he saw a need for a formal collaborative framework for investigators focusing on lung cancer and was one of the visionary founders of the IASLC and its journal Lung Cancer. He later became the IASLC's President and first Executive Director. Prof Hansen played a significant role in ESMO's evolution and was ESMO President in 1996-1997. At ESMO he contributed to the development of a global curriculum for medical oncology and was instrumental in developing medical oncology as a recognised specialty in Europe. He was also very active in educational activities in the previous Eastern European countries and implemented many clinical trials in this part of Europe. 3 The Heine H. Hansen Award will be presented to Prof Barlesi during the Heine H. Hansen Award Lecture on Wednesday, 11 April 2018, 13:45-14:15, Room B. Keynote lecture title: "The power of the multiple H". The International Association for the Study of Lung Cancer (IASLC) is the only global organisation dedicated solely to the study of lung cancer and other thoracic malignancies. Founded in 1974, the association's membership includes more than 7,500 lung cancer specialists across all disciplines in over 100 countries, forming a global network working together to conquer lung and thoracic cancers worldwide. The association also publishes the Journal of Thoracic Oncology, the primary educational and informational publication for topics relevant to the prevention, detection, diagnosis and treatment of all thoracic malignancies. Visit http://www.iaslc.org for more information and follow us on Twitter @IASLC.